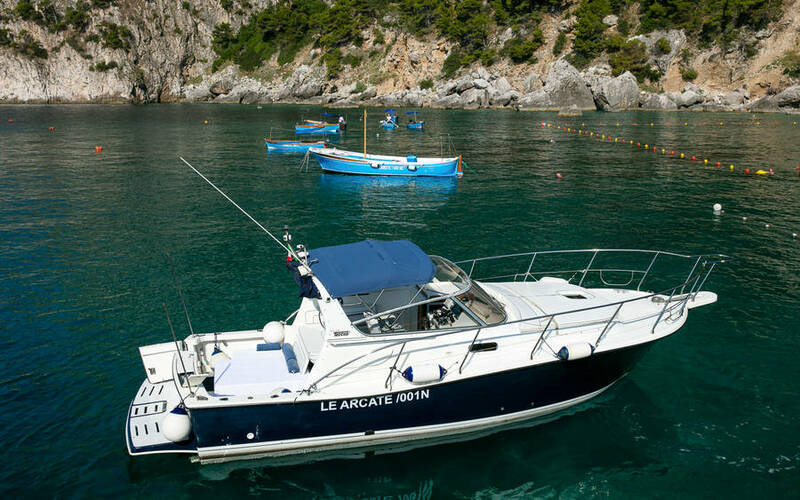 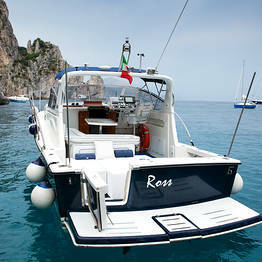 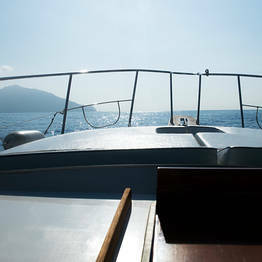 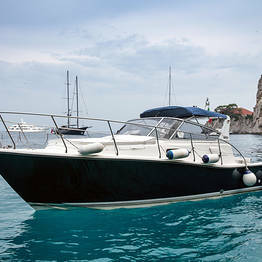 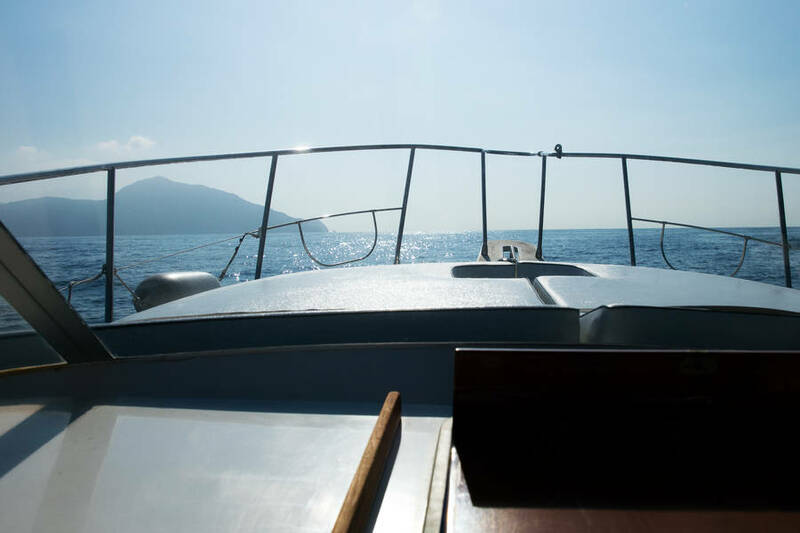 The best way to savor the beauty of Capri is by sea, and with Le Arcate Boat you can enjoy a day at sea around the island in compete comfort and convenience. 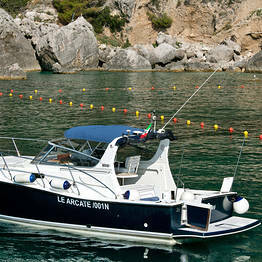 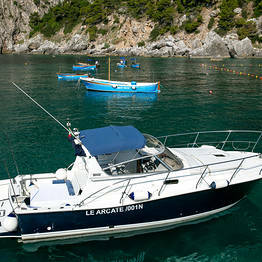 Just pack your swimsuit and Le Arcate Boats will take care of the rest. 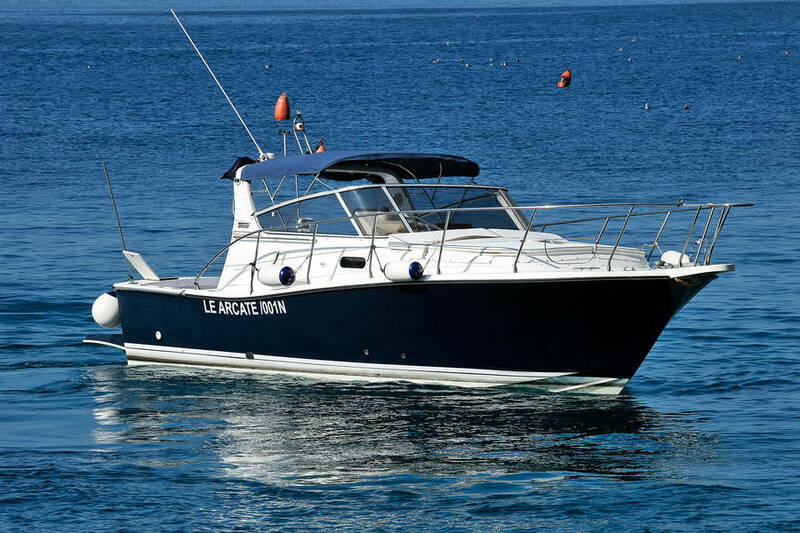 Our fleet is made up of elegant speedboats, both spacious and sleek that can fit up to 8 passengers. 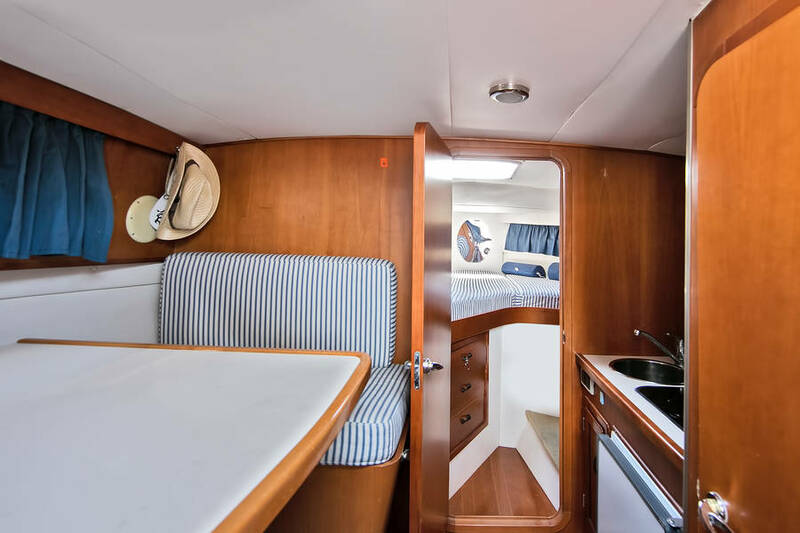 There are large padded sundecks both on the front deck and stern where you can relax under the Mediterranean sun while skirting the coastline of Capri. 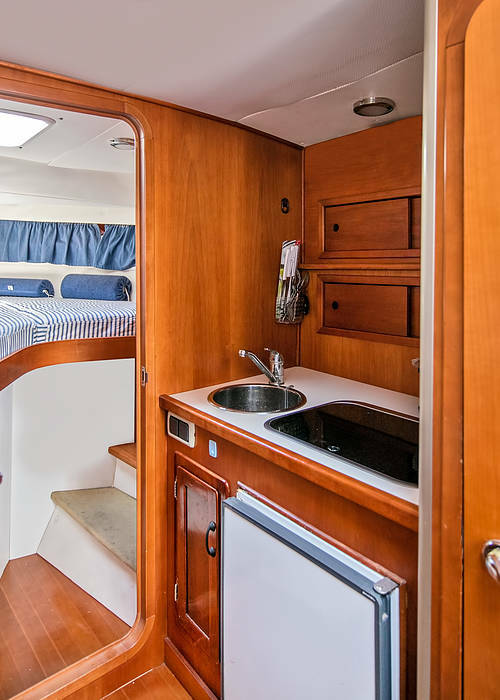 If you need to cool down, there is a shower on board, a sun awning and a convenient ladder to climb back on board after a swim.We also provide towels and snorkeling equipment on board! 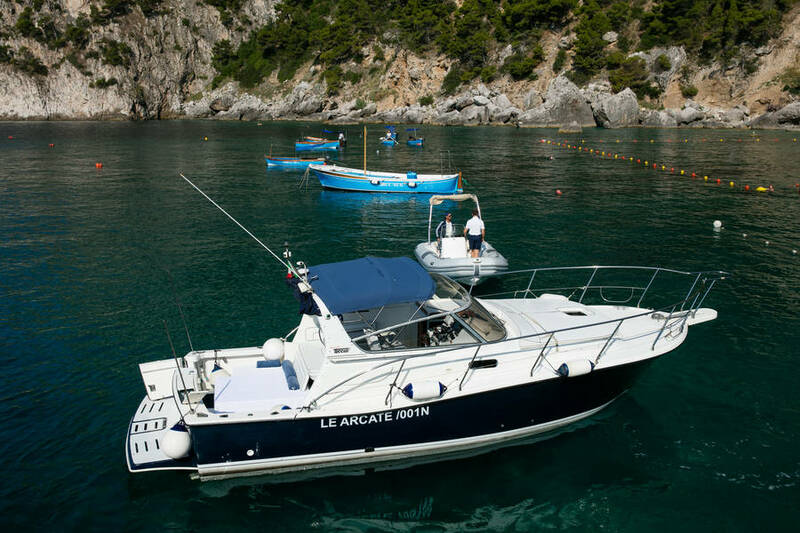 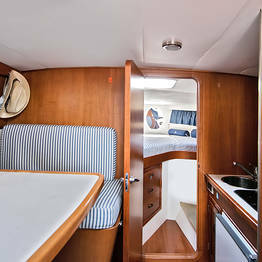 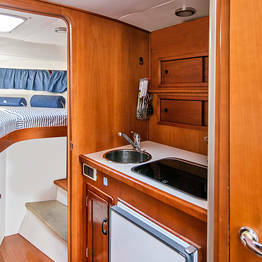 The Le Arcate Boat speedboat is a sporty vessel with a small cabin where you ca find everything you need for a comfortable sail, including a covered living space with galley, bathroom, and sleeping space for two. 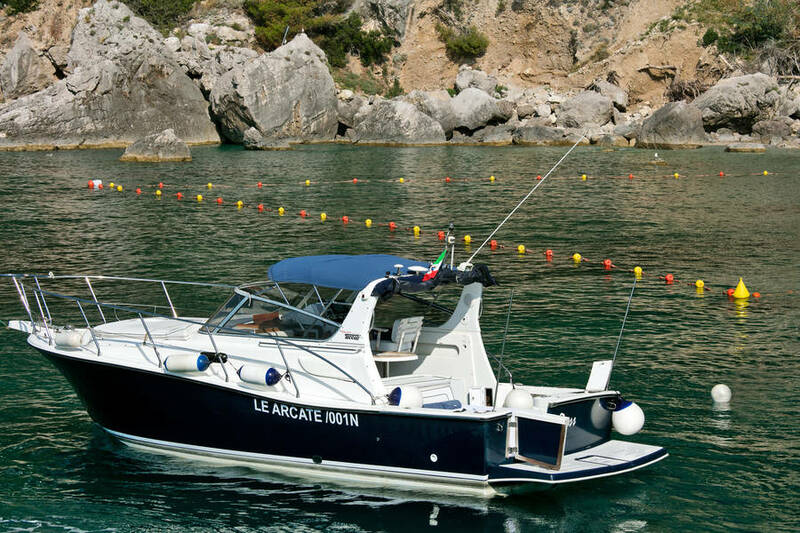 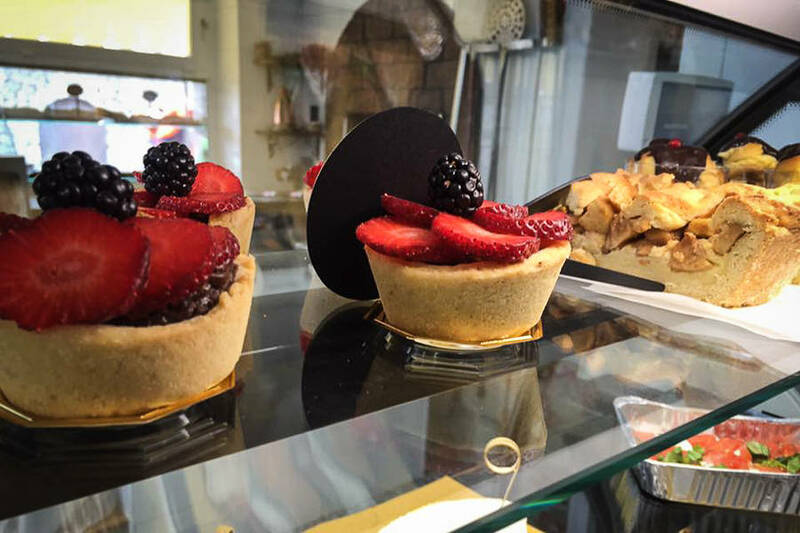 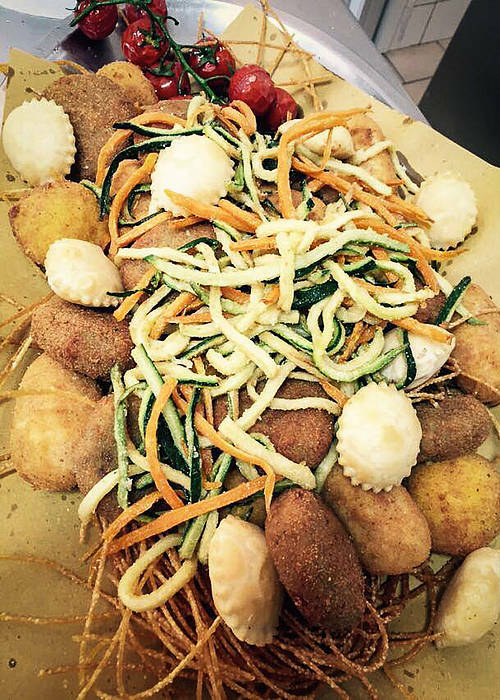 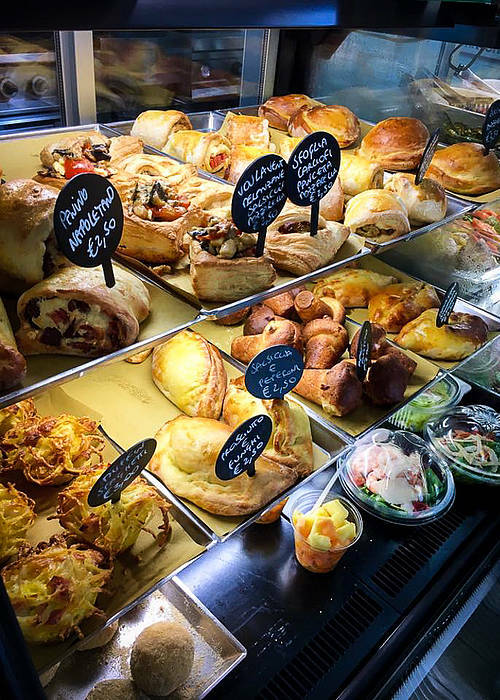 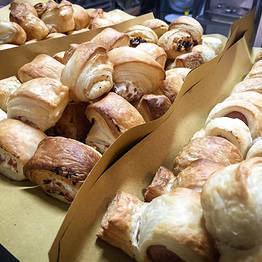 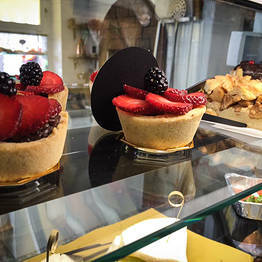 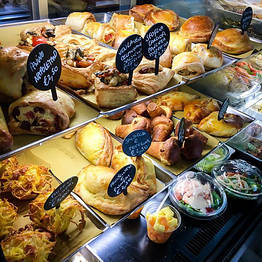 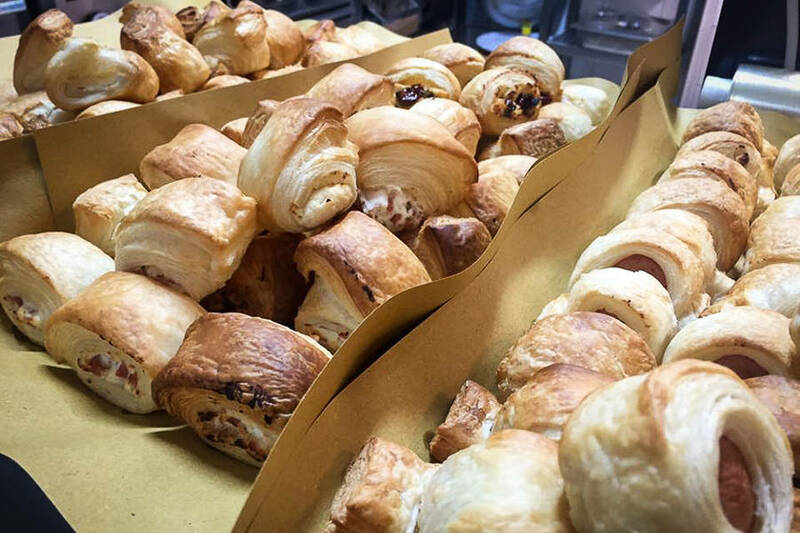 Thanks to its catering service through Al Buco Food & Wine, you can also have a truly gourmet lunch during your day at sea, featuring some of the most delicious specialities of Mediterranean cuisine right on board and an ice chest fully stocked with beverages. 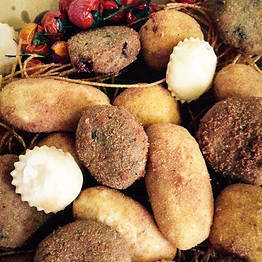 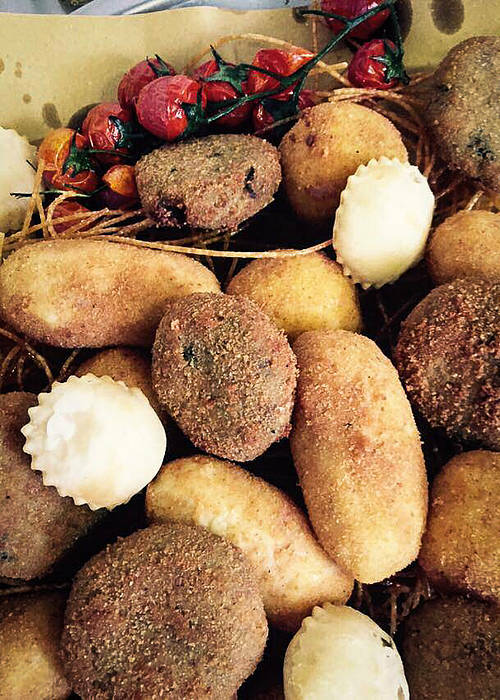 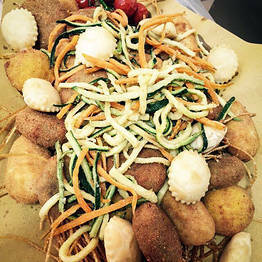 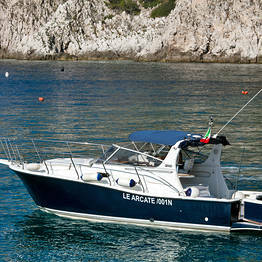 A 'sail with taste and after the sea don't forget to reverve a dinner at Le Arcate restaurant! 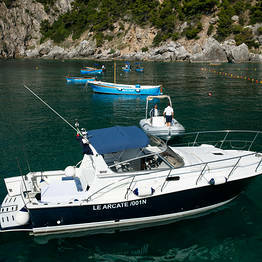 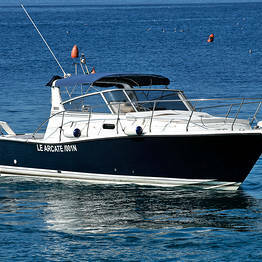 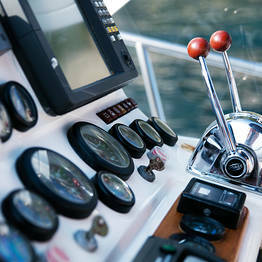 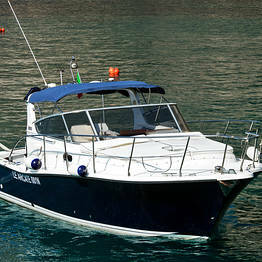 Under the guide of Le Arcate Boat's expert skipper, your day at sea will be unforgettable. 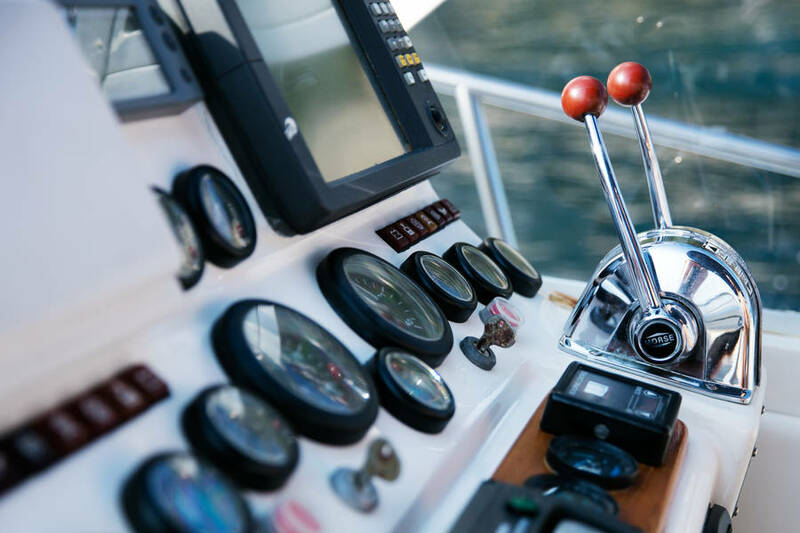 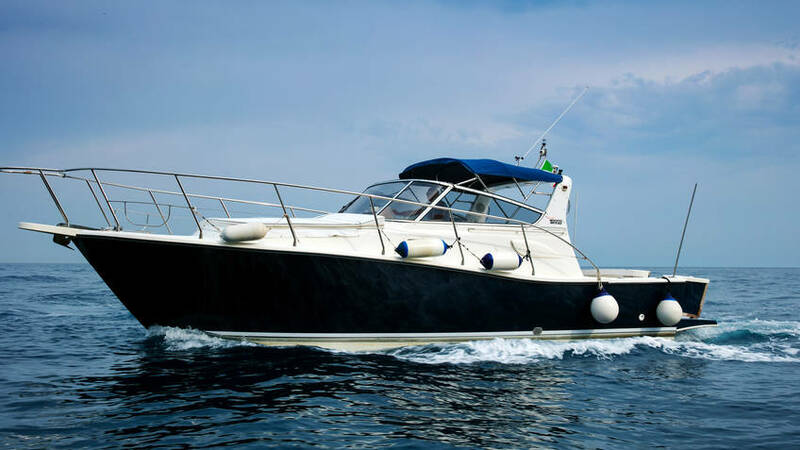 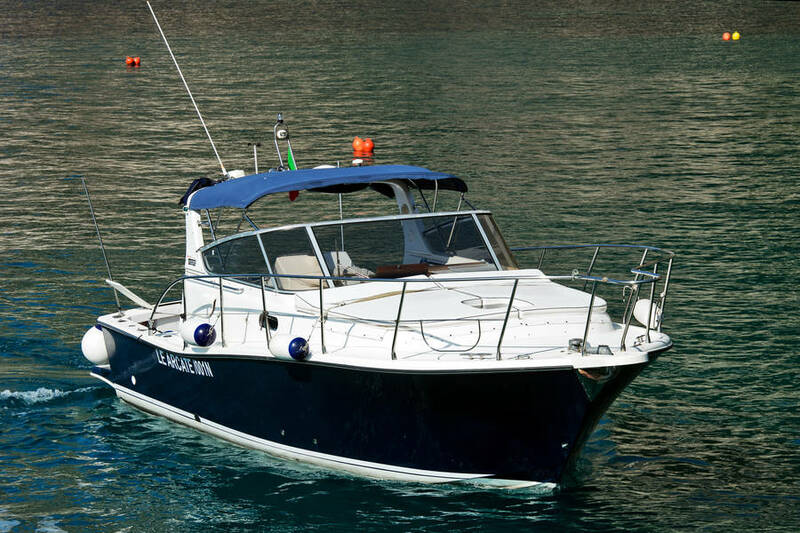 With your own private boat, you can decide on an itinerary that best suits your style and pace, including visits to the iconic Faraglioni and a dip in the Marina Piccola Bay or beneaith the Punta Carena lighthouse. 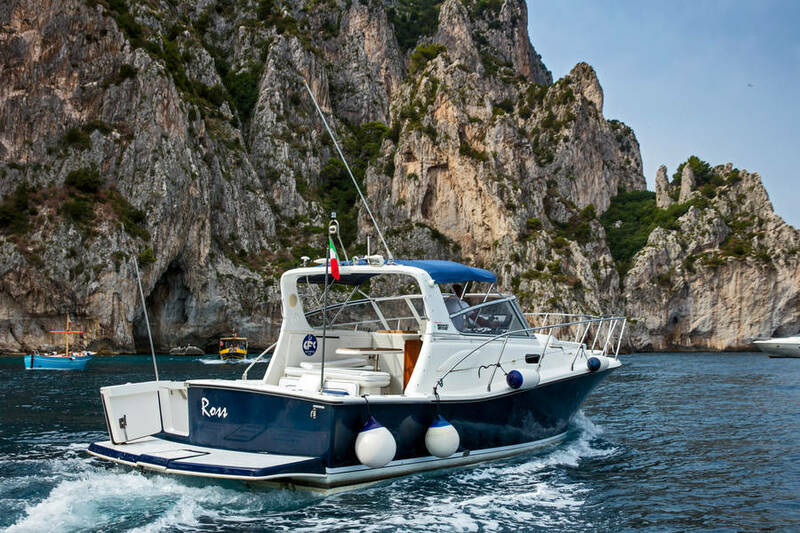 You can also explore the most beautiful coves and hidden sea caves and bays along the coastline, including the famed Blue Grotto, the Green Grotto, and the White Grotto. 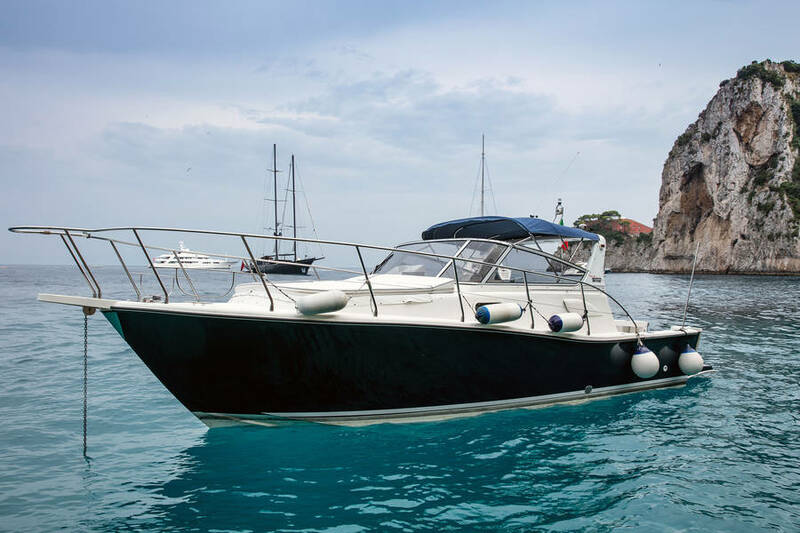 We recommend booking a full day at sea including a classic sail around the island, but if you only have a few hours you can also opt for the ma se half day sail (4 hours) which is enough to admire the Capri coast and swim in the crystalline waters. 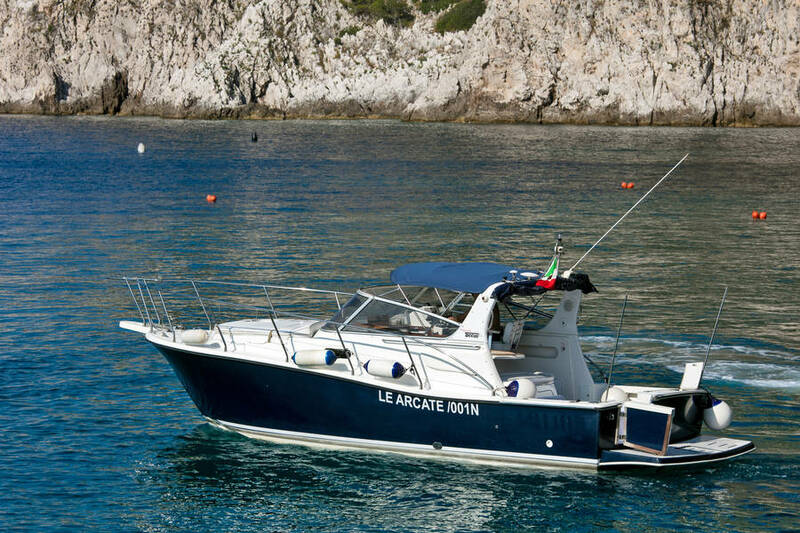 Le Arcate Boat also offers transfer services to Capri from the most important locations along the Bay of Naples and the Amalfi Coast. 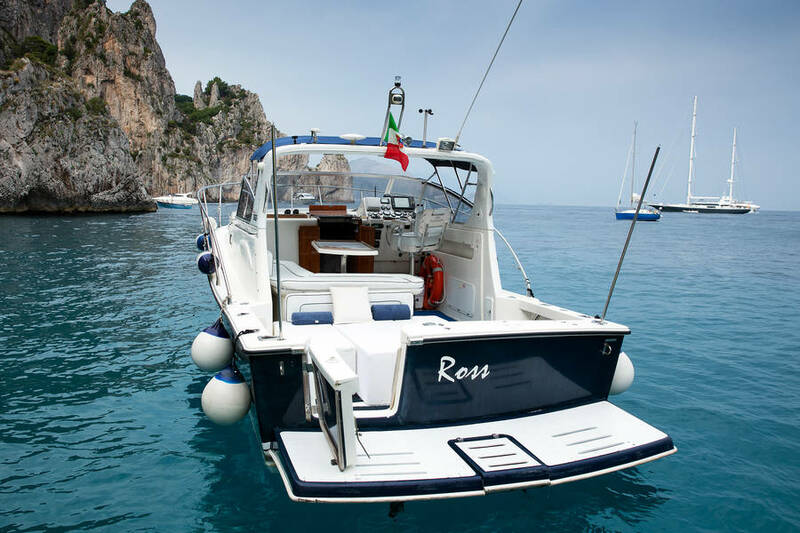 Our transfers are perfect for travelling to Capri from Naples or Sorrento, or for getting to and from Positano, Amalfi, Ischia, and Procida quickly and comfortably!